Cabot Trail, 2012. No Polarizer. Cabot Trail, 2012. Singh Ray Warming Polarizer. I put a note out on Twitter last night that I loved my Singh Ray warming polarizer so much I might never take it off my lens. I was asked some questions, so I thought I’d drop a line at the same time. 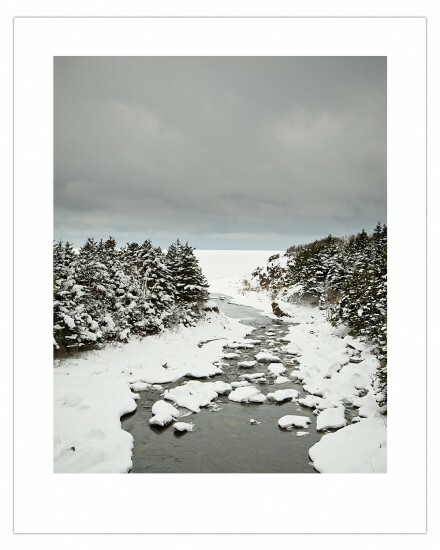 Our time on the Cabot Trail in Nova Scotia was amazing, and though it made for a long day, I had lots of time to trudge around with tripod and snowshoes and take in the beauty. The shot above was one of my sketch images, but I’m showing it here because I have identical frames that differ only in my use of the polarizer. I’ve developed them the same, which is very little, and with no dodging or burning. The differences you see are entirely the result of the polarizer. Polarizers can make skies really blue (blue skies, not grey and cloudy ones, they stay just grey and cloudy 🙂 ). Most people know that, but if you only use a polarizer for that you’re missing out and you might as well just use Photoshop or Lightroom to do the same thing. What polarizers do that Lightroom and Photoshop can’t, is get rid of reflections on surfaces like water, leaves, wet streets. It’s an aesthetic affect, and as I’ve said before, the look of the photograph is everything, so anything that changes the look, is a potential tool in the visual toolbox. In the case of the image above, the loss of reflection on the water (in this case, the reflected sky) significantly darkens the water, making it a stronger ribbon of darkness (10 points if you get that Canadian reference) and allowing the rocks under the surface of the water to show more strongly, revealing underwater texture. Like any tool, it’s not a cure-all for a bad photograph, and it won’t make every photograph better, but wielded well, it’s indispensable. A couple more days in Nova Scotia, then we begin driving towards Vancouver, about 7500 kilometers. Great shots and I needed that explanation. Thanks David. Have a safe trip back to Vancouver. It sunny here today – at least as I write this! I have to say, I’m impressed, great picture (w/ Polarizer). One question though: Couldn’t you get the same result by using a regular polarizer (i.e. not “warming”) and smiply change the white balance of the picture afterwards? Or does the warming polarizer change the picture differently? The bottom image certainly has a little more “pop” with the clear water. Also, I find Neil Young tunes are great for the Canadian winter road trips. But I have a doubt. I noticed, in some of your posts, that you sometimes use the nikon 14-24mm. I think that it is not possible to use a filter with this lens. How do you do? You use a different wide-angle lens when you want to use a polarizer? Or you have other kind solution? I love what it did for the definition in the trees! Martin, yes, the polarizer is the same regardless, and adding a little warmth in post would work fine. It’s the polarizing effect that is most important. Chris, had no idea Neil Young did a version of Ribbon of Darkness. It’s a Lightfoot song. I love my polarizer. It’s an obvious tool to use when travelling to places like Australia because it makes the sky so freaking blue, but I also love using it the way you did here, to get rid of reflection. And if I don’t have an ND filter with me it also helps when I want to do some long exposure water shots. I have been following your blog for a few months now and was very excited when I saw that you were in nova Scotia! I am from Truro. I find your blog very inspiring. I hope you enjoy your stay here. oh, oh….Gordon Lightfoot song from the mid-60s…. Drat…ok, where did he first play it in the us? Great post David and I immediately saw the difference in the water. Good reminder about the usefulness of the polarizer. I don’t keep mine on my lens all the time and will often skip it when setting up for a quick shot…all that time it takes to screw it on you know. Most of the time afterwards I’m wishing I’d used it of course. I just found your site and am really enjoying reading through the old posts! I use my polarizer so often that I have to remind myself to take it off once in a while. 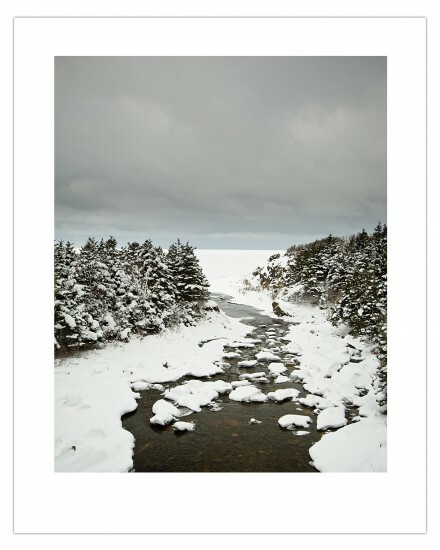 David, beautiful pictures in this and especially the last Cape Breton update. As I sit in my windowless office looking at a computer screen all day your photos are welcome proof that beautiful places exist. Looking at your photos I feel like I used to in grade school when I would have to stay in detention because I hadn’t finished my homework. While I worked away I watched my friends having fun outside playing in the snow. If only I had planned better I could be out there too! David – was there any appreciable difference from the “warming” aspect of the filter? It seems that the over all tones are similar in both pictures, but with the obvious improvements in contrast in the water and other areas. Using filters more and more myself. The subtlies are wonderful….. Rob – To be honest this is just the polarizer I have and use most of the time. That it’s a “warming” polarizer is less important to me. I’ve not done a comparison with regular polarizers, but to my eye the difference is nice and if I wanted to cool it down a simple shift in WB would manage that. Thanks David…a WP filter is on the wish list – I have always loved what you got out of it from your other work, especially the images from Tuscany!